It was amidst the moving boxes and clutter that I made my first Good Eats recipe in our new home. 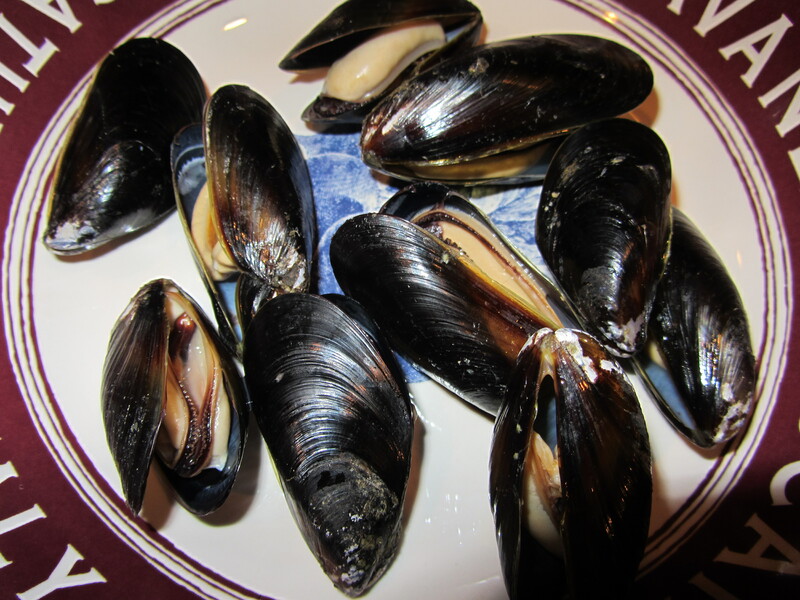 Continuing with the third season of the show, I prepped Alton’s version of mussels. 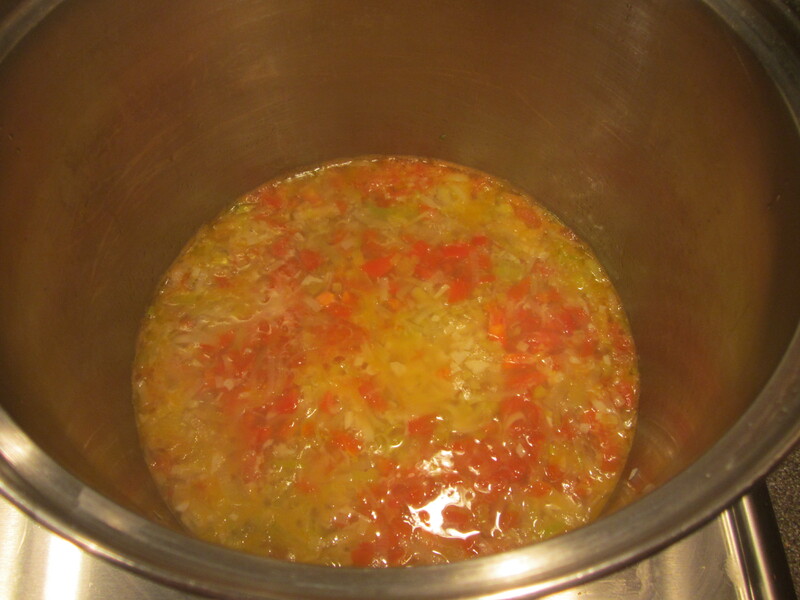 As with several of the recipes I have made in my Good Eats project, I was again dealing with an ingredient that I had never prepared myself. I fondly recall a delicious dish of moules et frites that I got at a restaurant in Walla Walla, Washington, so I was hopeful that Alton’s mussels would prove to be likewise as delicious. The online version of this recipe is a little goofy, in that it calls for a total of only 20 mussels, while 10 mussels will be used as part of the sauce. If you watch the episode of the show, however, Alton specifies that you should count on 15-20 mussels per person for an entree portion, while 7-8 mussels make for a great appetizer. Oh, and he recommends that you purchase enough for an extra serving, just in case some mussels need to be thrown away. My store happened to only have about 25 mussels. Rather than waiting for another day, I bought all of the mussels they had, figuring we could always eat more bread if we were still hungry. 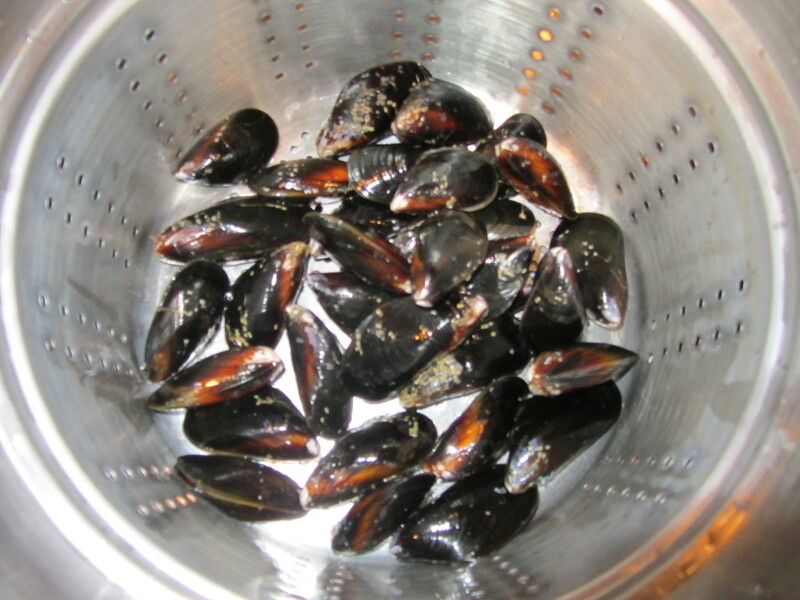 To store mussels at home, Alton tells you to put them in an open bucket or bowl, covered with a damp paper towel and a bag of ice, and to change the ice daily. I used my mussels within a few hours of buying them, but I still stored them this way. 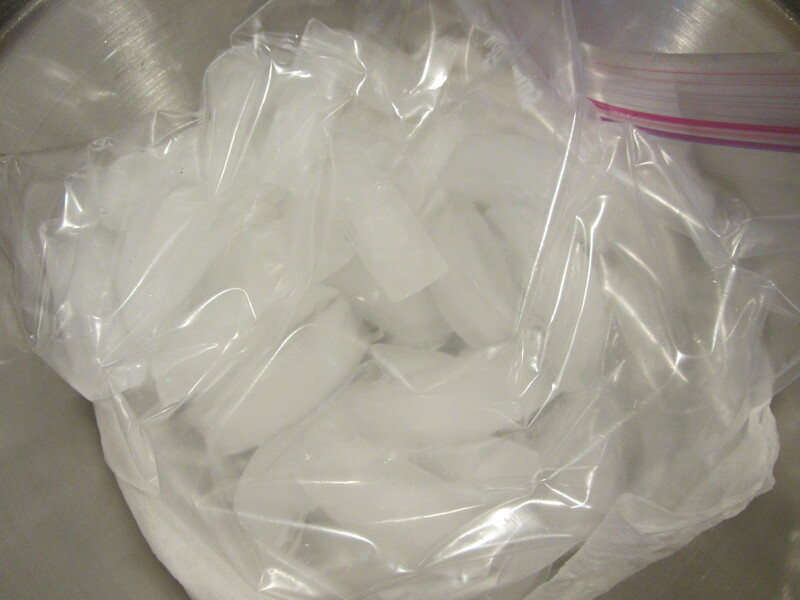 …and a bag of ice. Very few ingredients are needed for this recipe. 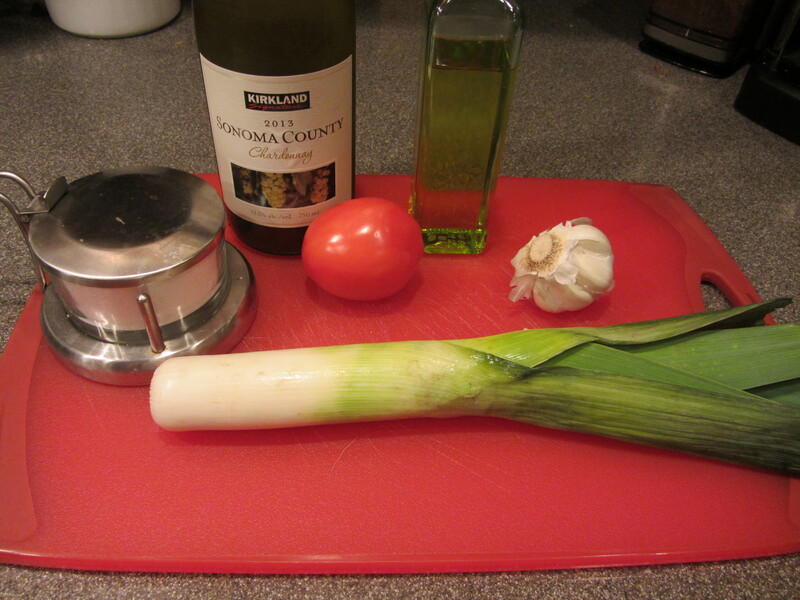 Other ingredients for the dish: garlic, olive oil, leek, tomato, white wine, and Kosher salt. 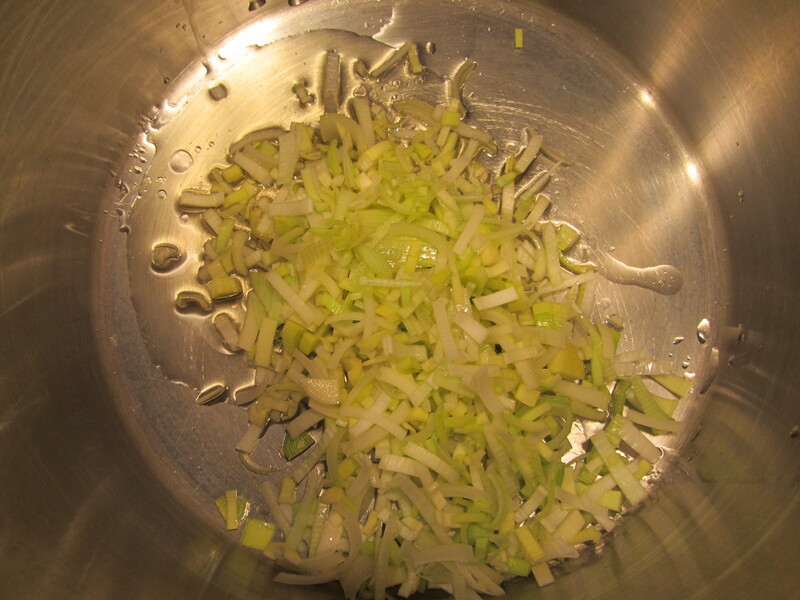 To begin, you sweat leeks and garlic in olive oil, along with a pinch of Kosher salt. 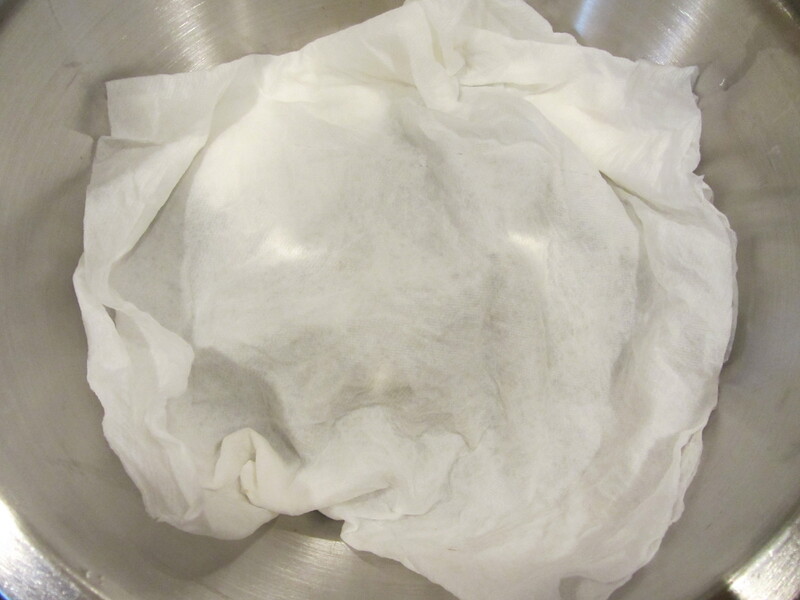 You will want to do this in a fairly large, lidded stockpot, in which you can nest a colander or steamer basket to hold the mussels. 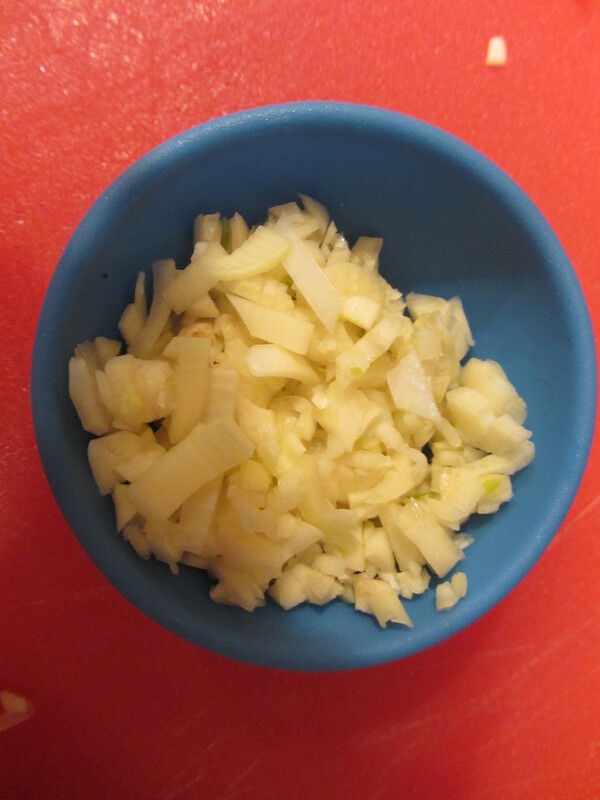 Leeks and garlic sweating in olive oil. 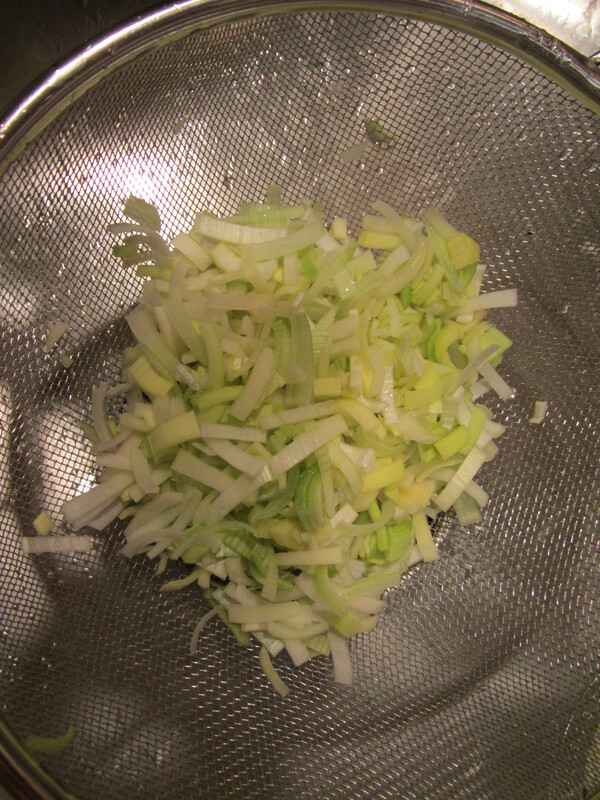 While the vegetables sweat, you can clean your mussels with a brush. You will also need to remove any beards with needle-nose pliers. Many of my mussels still had their beards. Discard any mussels that are open. Slightly blurry photo of cleaned mussels. 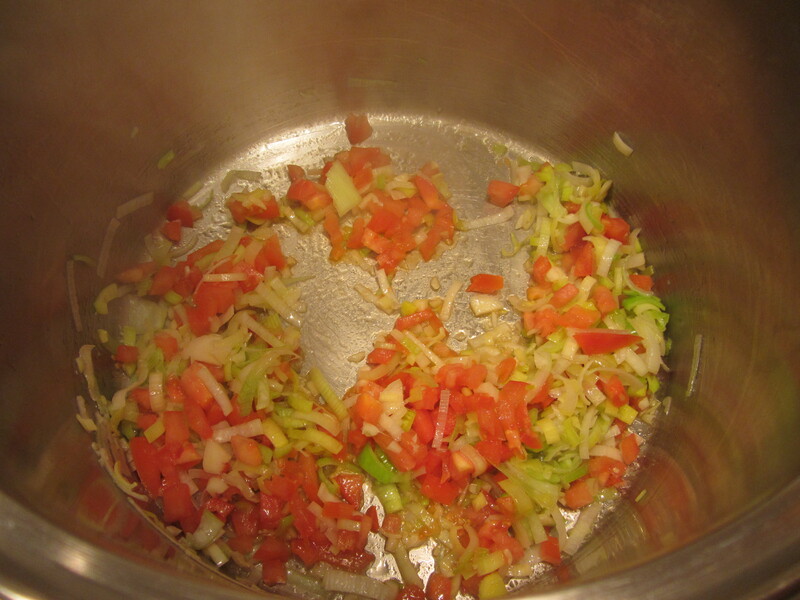 Meanwhile, once the leeks have softened, add chopped tomato and white wine, increase the heat, and bring to a boil. 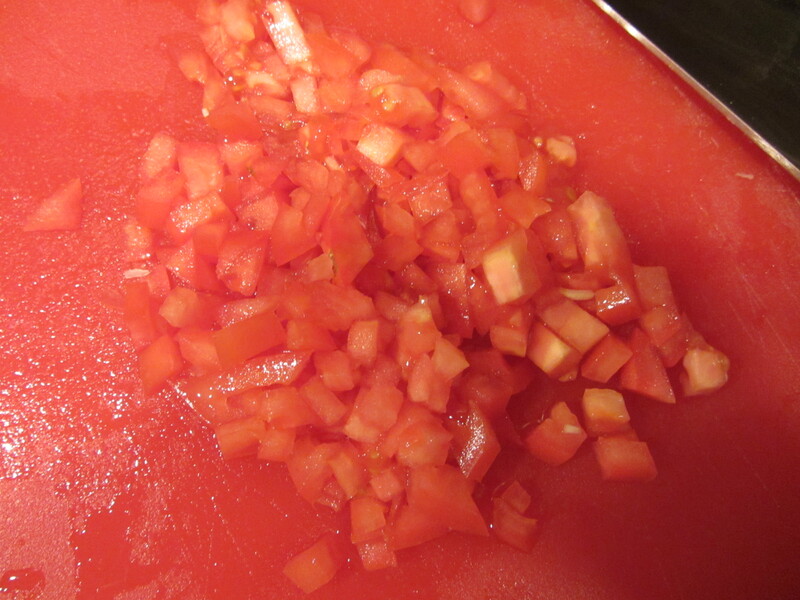 Tomato added to the pan. 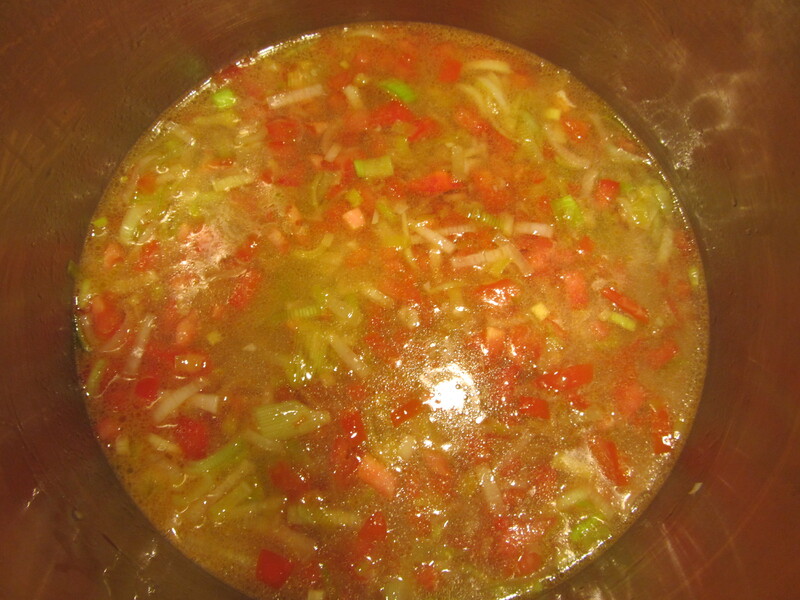 Wine added to the vegetables. 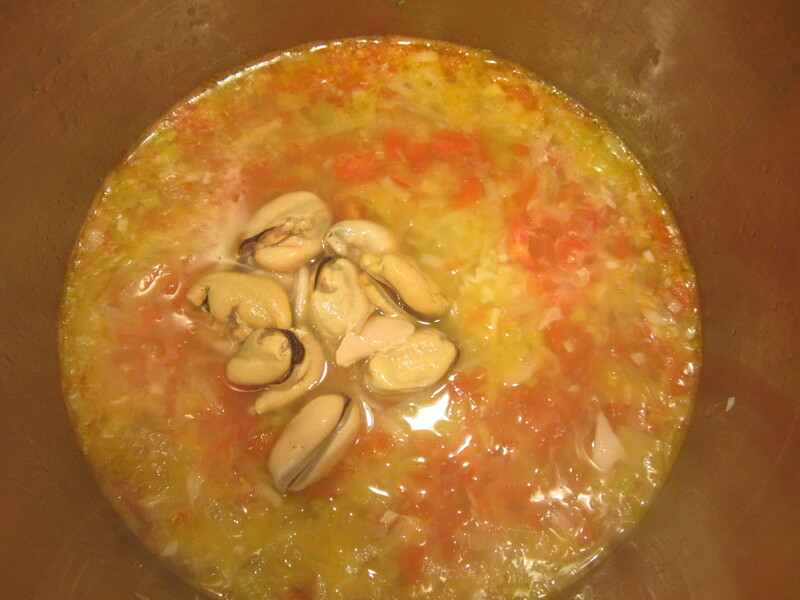 Once boiling, put the colander of mussels inside the pot, add the lid, and set a timer for three minutes. When the timer goes off, make sure all of the mussels are open; if any are unopened, move them around a bit and cook for another 30 seconds. 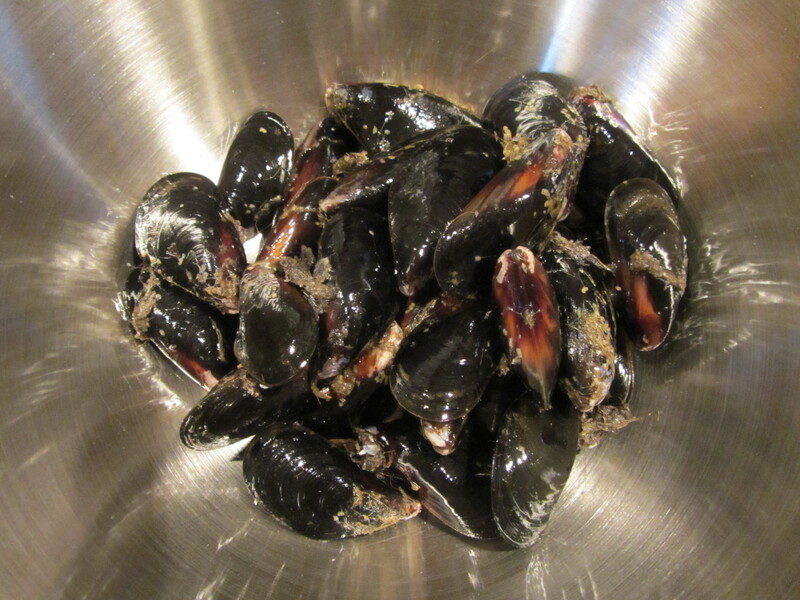 If any mussels are still not open, throw them away, and divide the other mussels among individual serving bowls. 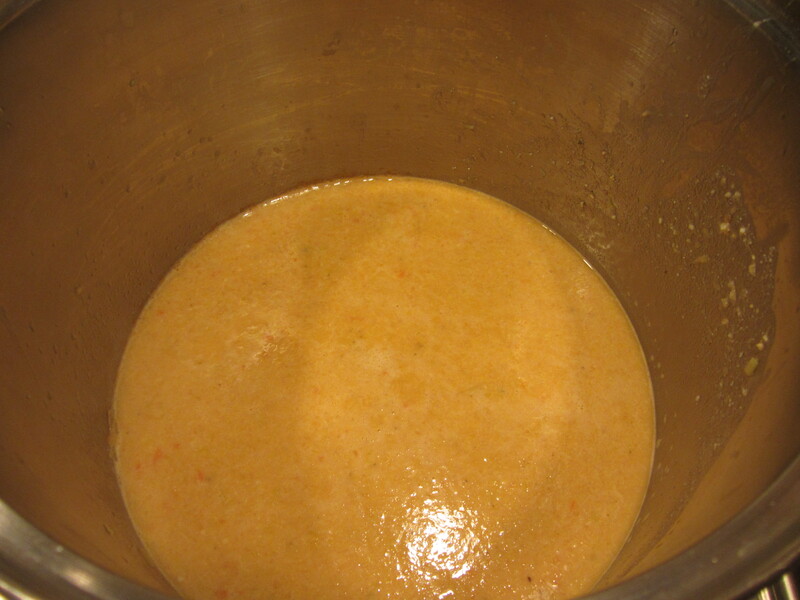 Add the meat of 10 mussels to the pot with the vegetable mixture and cooking liquid, and puree to a smooth consistency with an immersion blender. Cooking liquid after steaming mussels. Ten mussels added to cooking liquid for sauce. 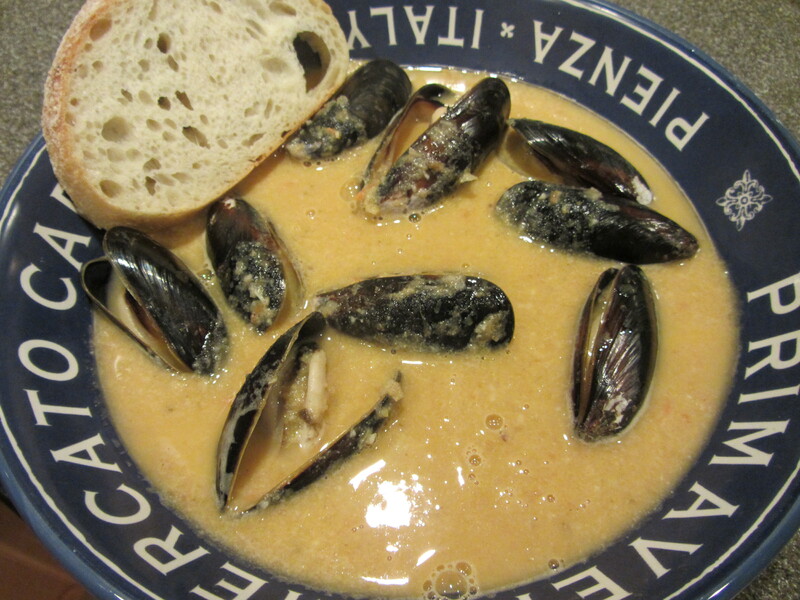 Pour this sauce over the mussels, sprinkle with parsley (I forgot to add the parsley), and serve with crusty bread. Mussels in sauce, served with bread. We ate our mussels as an entree and had a large proportion of sauce to mussels. The mussels themselves had the fresh taste of the ocean; I always think they taste exactly like the ocean smells. The sauce was, to me, the best part of the dish. It had a great balance of sweetness and acidity, along with a hint of brininess from the mussels, and it was great to dip good bread in. The mussels were really good, but Ted and I agreed that we really think we would prefer a bowl of clams, if given our choice of shellfish.